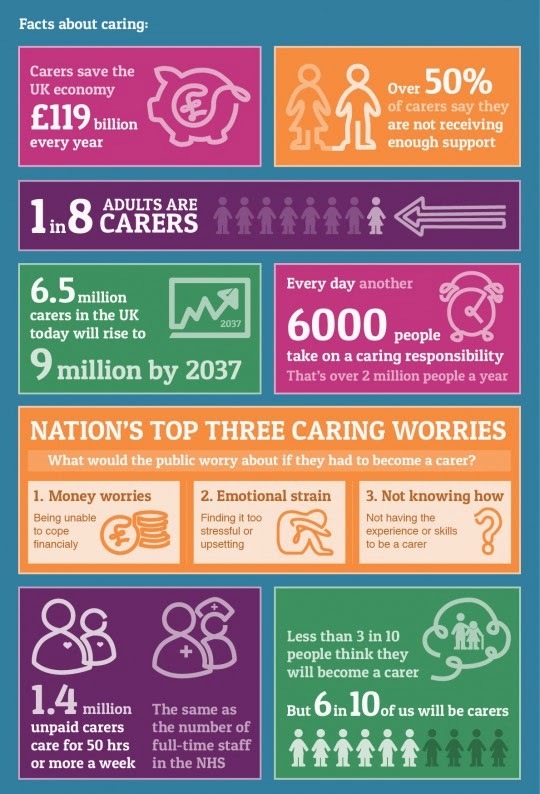 Last week was Carer's Week which aims to raise awareness of the brilliant work thousands of carers do a week and also reach out to those thousands of carers in the UK who are currently missing out on services and support they are entitled to. Now I know I'm a tad late with this post, but things have been pretty hectic due to my operation. The aim of this post is I just want to give you guys a bit more of an insight into my life and also the amazing love and support my mum has given me over the years. The two most important people in my life! My mums pregnancy was definitely not a smooth one and she had trouble right from the start. Tests were done for Downs syndrome which came back negative and the doctors left it at that. My mum had a planned caesarean section due to high blood pressure and I was in the breach position, but as far as my mum and dad were concerned I was going to be a healthy baby. So when I was actually born my mum had no idea I had Osteogenesis Imperfecta (maybe even more scary was that even the doctors didn't know). After many tests and x rays and advice from a specialist hospital in London I was finally diagnosed at about one week old. Imagine leaving hospital with a baby with a rare disability and having no idea how to look after me! Luckily she had a lot of support from the Brittle Bones Society and soon learnt how to cope. Since the day I came home my mum has always done the best for me. So many people think of carers and automatically think of somebody that helps them with personal care or helping some elderly lady with her shopping and I know this is some the case for some people. This is so not the only image I would like to portray of carers. My mum is my full time carer and although she does help me with those things when needed (like at the moment due to my operation) she does so much more. There has been a lot of dedication and hard work right from the start from my mum. 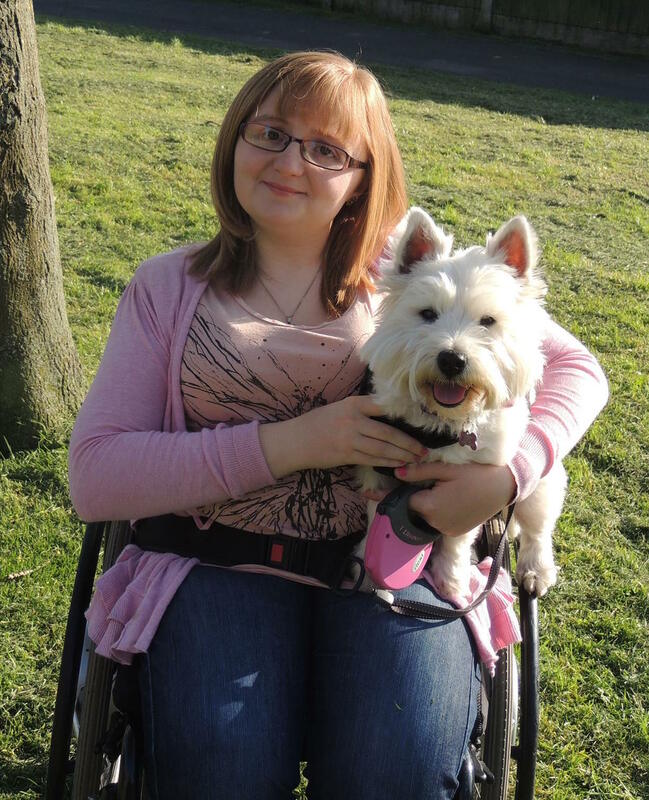 When I was little there was very much a big emphasis on physio and every week mum would take me to hydrotherapy to try and get my legs moving so I would be able to stand.Then there have always been the constant hospital appointments including many tests. Then deciding what IV drugs I should take, which a lot of the time are not licensed for OI so the doctors are not fully certain of long term side effects in adulthood, I can't even imagine how hard those choices must of been! Not to mention the several major orthopaedic operations I have had. Imagine saying goodbye to a 3 year old child in an anesthetic room not knowing what would be the final results. That's what I call being a carer, the things most 'normal' mums don't experience and that's why I class my mum as a carer! A carer isn't just somebody who helps you gets dressed or helps gets a few groceries it is a life long dedication and that's certainly the case in our house! Without all this help I wouldn't be half the person I am today. Up until I was around 13 I was able to walk with a small walking frame, there again only due to the hard work and dedication my mum had put in. The doctors told my mum not to expect too much as I had one of the more severe types of OI they said I wouldn't be able to sit up on my own, communicate or feed myself as well as so much more. But as a partnership me and mum battled on to prove them all wrong and damn I think we did a good job! My mum has been the most important person in my life and will be for many years to come. I could never thank her enough for all the help and support she has given me over the years. I think when you have a child with a disability or health problem it changes the relationship and you know longer class your mum as a carer but just as a normal mum that's helps me more than others. So please give a thought to all those carers who are caring for people right now all across the UK. It isn't a 9-5 job or something you can do when you feel like it or because you want to stay at home. It's one of the most important jobs anybody could ever take on! This is part of a series of posts I have entitled "What it's really like to be a disabled dog owner". I hope you guys have found this useful. But please on a final note don't feel sorry for me. I'm not ill I have a disability which you can't make better and I don't want to get rid of. My disability is part of me and has made me what I am today without it I just wouldn't be Jessica. Mum always says when they made me they broke the mould, too right! We're participating in the Pet Parade Blog Hop hosted by Rascal and Rocco, and co-hosted by Jan's Funny Farm, Basil the Bionic Cat, Barking from the Bayou, and Love is being Owned by a Husky! - thanks guys! Jessica, it sounds like when they made you mum they might have broken the mold as well. 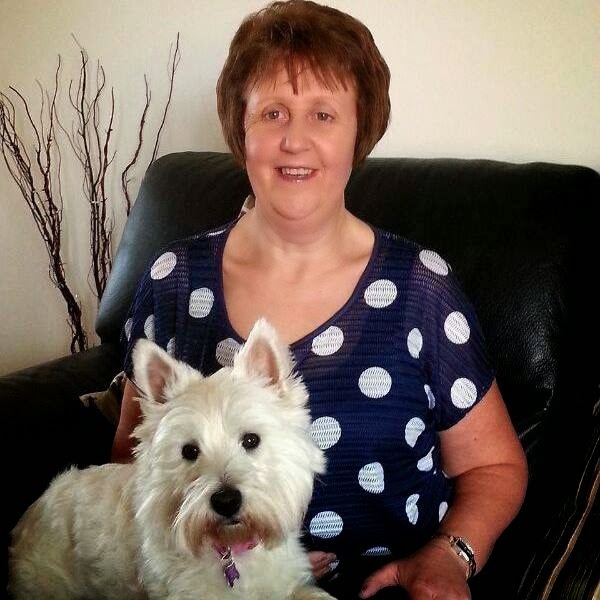 What a wonderful lady...and she raised a strong, terrierific lady too! This was a wonderful post; a great reminder to everyone to recognize and thank the carers in their lives. Have a wonderful weekend. What a great way to honor you Mom. Beautiful post. This was beautiful!!!! You are both inspiring woman and I thank you for sharing this!